Hopefully you have your Thanksgiving menu planned and ready to go! Still looking for inspiration? 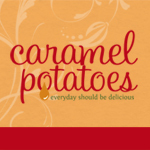 Be sure to check out our favorites Thanksgiving recipes here. As we pause this week to celebrate and give thanks I am so excited to give one of you this wonderful new book by my friend, Marilee Woodfield! Sometimes I battle the fact that my Christmas tree is already up and my closet is stashed with presents before Thanksgiving, but in the past few years I’ve learned not to let the two holidays compete, rather to let Thanksgiving be a prelude to a wonderful and blessed Christmas. Thanksgiving has become the perfect way for me to begin my Christmas Celebration- a chance to reflect and give thanks, especially for the blessings of Christmas. I’ve always been inspired by Nativities. I made my first set over 30 years ago and have been collecting them ever since. Each of the twelve days centers on the symbolism and meaning behind one of the figures from your Nativity set. 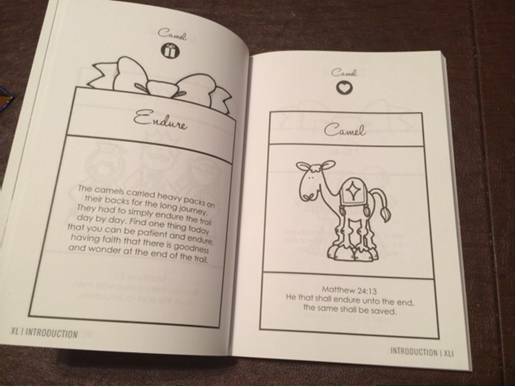 I especially love the Camel Day – “Am I Willing to Allow Jesus to Love me in Spite of my Knobby Knees?” This day’s devotional has an adorable “camel” song set to a familiar tune, fun games to play, and a beautiful reminder that each of us is loved despite our crazy imperfections. For your chance to win an autographed copy, simply leave a comment below and share one of your favorite Christmas traditions. Give Away ends November 25. Winner will be contacted by email and must respond within 48 hours or another winner will be randomly chosen. (US mailing address only.) Good Luck! Every year on the day after Thanksgiving, we go to see Santa come to town in a great part of town. It’s old style and there people dressed up in period costumes – all the characters of Winter and Christmas – Santas from all over the world, Jack Frost, townspeople are all dressed in period and roam the streets of the old village. It’s very cool! My favorite tradition is opening presents on Christmas Eve. The older I get, I find that the little things make the holiday. For me, it isn’t the actual day, it is a touching Christmas song heard on my way to work or the look in my girls eyes when they see a decoration I’ve put out. My favorite Christmas activity is putting out my Nativity sets. I collect them and have 79 from around the world. I love to share them with friends and family with homemade cookies and eggnog punch. When I put them out I am so reminded of the meaning of Christmas and how terrible it must have been for Mary to give birth in a manger. We are so blessed. Every year we go to church on Christmas Eve and have a soup supper at home afterwards. This used to be in reverse where we ate and then when to the 11 p.m. service. Our church no longer has the 11 p.m. service and my children miss it. We drive around the community to look at the pretty Christmas lights. Christmas day we share in making the meal, opening presents and playing games for baby Jesus. Besides using some of my parents’ traditional recipes for our holiday meals, my favorite traditions include taking in a performance of Handel’s “Messiah” and going to a TSO show. I’d love to give this book to my grandchildren. Thanks for the giveaway. My father in love made a set when my daughter was about 3 years old. She was standing looking at them one day and she said “Oh, look. It’s Mary and Joses and Baby Jesus and all the wise guys! We love to read the Christmas story together on Christmas Eve and Christ-centered story books on Christmas morning before we open presents. We also started elf on the shelf Jesus style last year and loved it! I love to share the magic of Christmas with my girls. We make a birthday cake on Christmas eve, and we have cake for breakfast on Christmas. I figured it was something my girls would remember, eating cake for breakfast! And it reminds us why we are celebrating. The lights, carols, food, and time spent with family and friends that’s Christmas. Every year my daughter and I put up our Nativity Scene! It is something that we talk about and then we go through the story of Christ Birth! It is AMAZING!!! 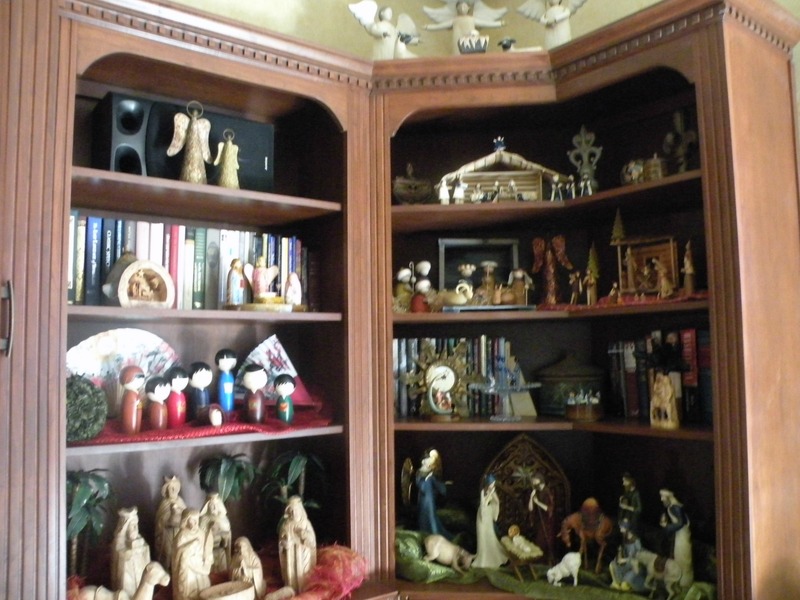 I collect Nativity sets, starting with my first when I was five years old. Years ago when my two daughters were little I and my husband decided that we wanted them to experience the magic of Santa Claus, but also to really focus on the Savior. 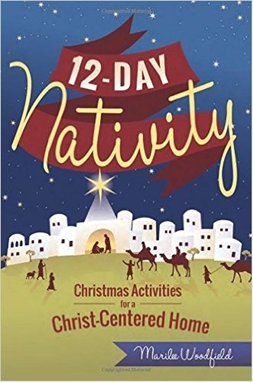 In order to achieve this goal I found a little book entitled, Santa and the Christ Child, plus found little Nativities of Santa Kneeling in worship at the Manger. I would read the book to my girls each Christmas, and gave them the Santa Nativities. After that first time, Santa would bring an Olivewood Ornament of the Nativity to each of my daughters each year. They are both in their early 20’s now, and they enjoy hanging their special ornaments on the tree. They have a substantial collection, and are still receiving an ornament in their stockings. They will take them with them when they start their own families, and I hope will carry on the tradition with their own children. I would love to win a copy of this book, and maybe start a new tradition. Our sons and as added DILs, grand girls and friends present, frost cookies together. Because our oldest son is a pastor, it doesn’t happen until after Christmas usually around the 28th or 29th. Our sons and as added DILs, grand girls and friends present, frost 10 dozen cookies together. Because our oldest son is a pastor, it doesn’t happen until after Christmas usually around the 28th or 29th. Prizes for the favorite decorated and ugliest cookie! At 27, 25 and 23 – they still request to do this yearly. Have a wonderfully blessed Christmas! Every Christmas Morning, before anything else happens in for the day (before breakfast or opening presents)we have made it a tradition to watch a Christmas video by the church we belong to, The Church of Jesus Christ of Latter-day Saints. It is titled “Joy to the World” It helps us remember the most important thing about that day. We have a beautiful nativity that my late mother-in-law made for us. Every year we read the Christmas story from the bible and our daughters place the pieces of the nativity as each part of the story is read. My favorite Christmas tradition is making Christmas Goodie plates and delivering to friends and neighbors. I also love how my mom sets up her Nativities and having just gotten married am looking forward to finding a Nativity to have in our home! It brings such a peace and overwhelming feeling of joy! putting out our little nativity and enjoying the true meaning of Christmas.